MPX®, the newest core innovation from Columbia Forest Products. This veneer core plywood panel features a Meinan®-peeled hardwood crossband under the decorative face and back, which introduces a new standard in all-wood veneer core panel surface quality. It reduces telegraphing, making MPX better for finishing and applications where a smooth, even face is needed. Of course, standard construction includes soy-based PureBond® formaldehyde-free technology. MPX uses a Meinan-peeled hardwood crossband under the face and back, and is made with PureBond® formaldehyde-free technology. The result? 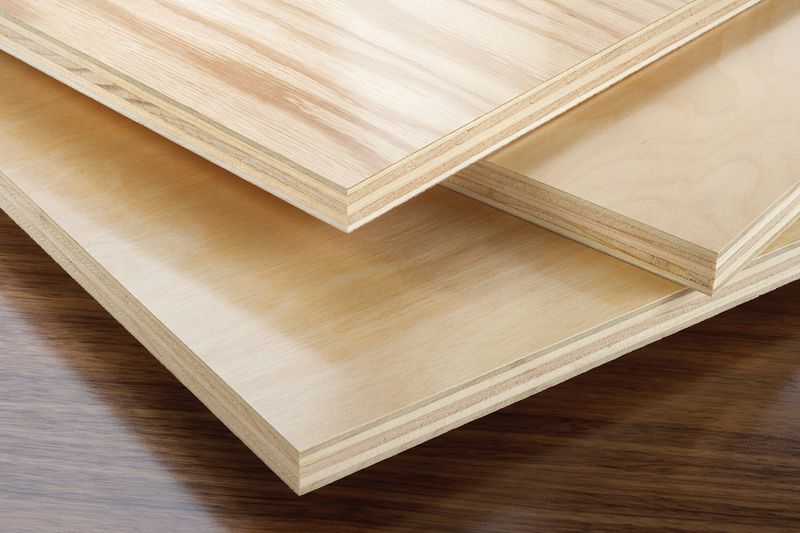 MPX panels have a better surface quality than panels constructed with rougher softwood or hardwood crossbands. In addition, a hardwood doesn’t have the extreme difference in density between springwood and summerwood growth rings in contrast to softwoods. This makes MPX panels the smoothest domestically produced, all-wood core in North America. MPX is perfect for standard fabrications, but is highly recommended for pre-finished panels with high visibility requirements. Fabricators will experience less “fall-down” or scrap as well as fewer reworks and callbacks while producing finer finished goods with higher customer satisfaction and referrals. Smoothest crossband in the hardwood plywood industry for veneer core construction. Improved surface is perfect for even finishing results. Reduces fabricator shop waste, callbacks and reworks. Cost competitive all-wood core construction. MPX is available in 4×8 sheets in 3/4″, 19.5mm and 1″ constructions. Ask your rep for availability of other thicknesses. MPX crossbands are peeled exclusively on Meinan® lines, the latest in lathe technology. MPX panels are made with PureBond formaldehyde-free technology, to meet CARB standards and contribute to LEED® green building credits. Produced in North America exclusively by Columbia Forest Products. The Meinan-peeled hardwood crossband offers a much smoother face as compared to white fir, douglas fir, red pine, white pine and other coarse woods that might be found in a veneer core plywood panel. Growth Rings. The lighter rings, formed earlier in the growing season, are known as earlywood or springwood. The darker portion, formed later in the season, is then known as the latewood or summerwood. Some softwood species, like fir, have a more distinct difference in the density of the these rings, leading to a more uneven peeled surface. Hardwood species come from deciduous trees, those that shed their leaves annually. Fir is a softwood species from an evergreen or coniferous (cone-bearing) tree.